Frequency (the default is 4MHz). Timer 1 offset (or value) (using 2 sliders or the spinbox). Jump to PIC Timer 0 calculator. 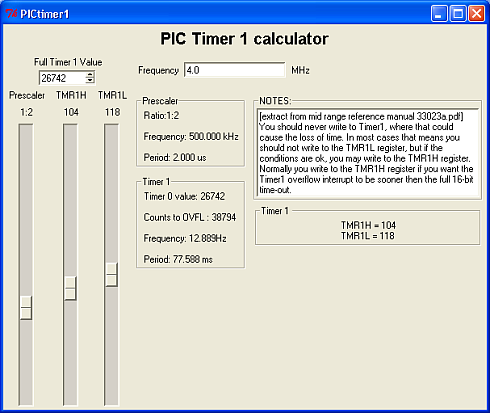 Jump to PIC Timer 2 calculator. You will get the calculators plus free souce code from this site. Three sliders let you change the values by dragging a control up and down on the screen and the resulting changes are immediately shown in this page. 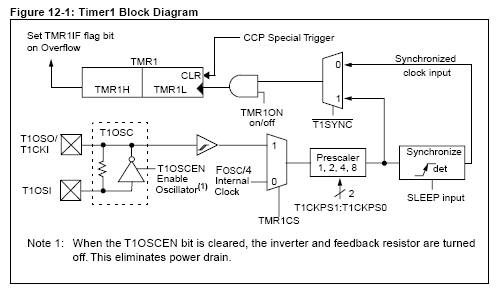 The first is for the prescaler and the other two are the high and low byte for the timer value. You can also set the timer value by typing into the spinbox - top left (or use the up/down arrows to change the value in the spinbox).